Julien Frisch: #MarchForEurope: Now they march? 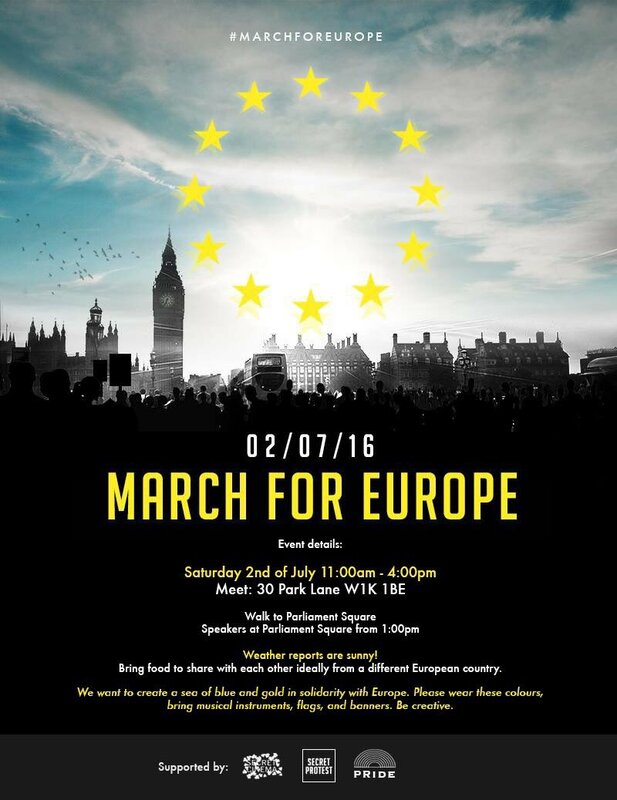 In two hours, several groups want to March for Europe. Now they march? Why not before the referendum? It's always good to wake up when it is too late. Hoping, that it is not too late. We will see later how many thought that it's not too late. And whether those who voted for Brexit actually care how many go out to march for Europe.